Switching to renewable energy does not happen overnight and often generates all kinds of research questions. One of these concerns the transport of liquid natural gas (LNG). LNG is a relatively clean alternative fuel: it burns cleaner than other fossil fuels and produces 10 to 20 per cent fewer CO2 emissions. However, during transport LNG is difficult to keep under control because it ‘sloshes’. This is preventing it from achieving a global breakthrough. Mirek Kaminski, professor of shipping and offshore constructions, is the co-initiator of a special NWO ‘Perspectief’ research programme, entitled Sloshing of Liquefied Natural Gas (SLING), which is going to tackle this problem. 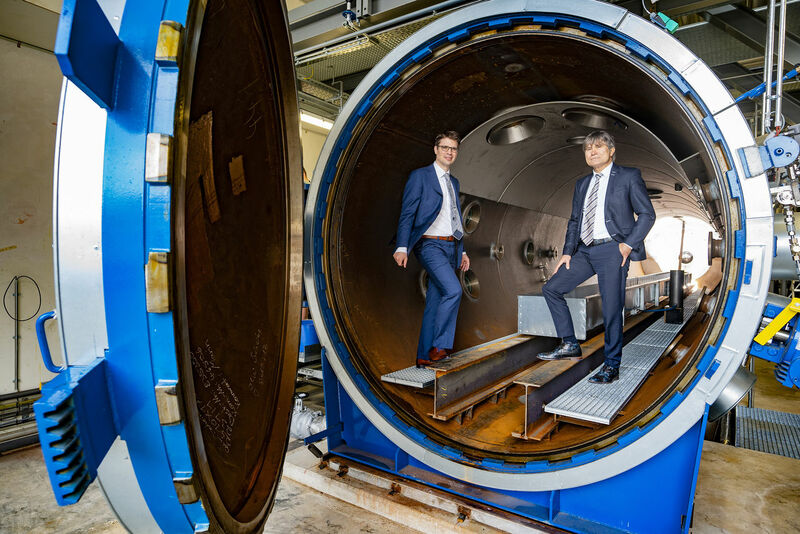 Right now they are building an advanced test facility at MARIN in Wageningen, where they can simulate the sloshing of boiling and liquid gas in tanks at a much smaller scale. The facility is expected to be ready for use in November. Kaminski set up the programme with Hannes Bogaert from the Maritime Research Institute Netherlands (MARIN) and colleagues from the universities in Groningen, Eindhoven and Twente and the Dutch national research institute for mathematics and computer science (CWI). Mirek Kaminski’s PhD student working on the project is Reinier Bos. Jerry Westerweel and Christian Poelma, both professors of fluid mechanics from the 3mE faculty, are also involved in the project.